BRT UK member organisation Scania has revealed its ‘Mega Bus’ for Bus Rapid Transit (BRT) as part of a drive to develop sustainable and cost-effective transport. 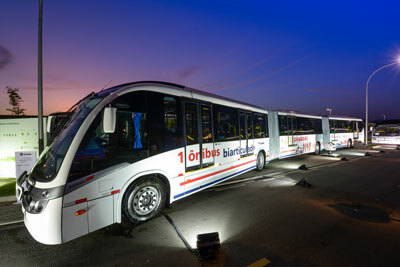 The new vehicle, designed specifically for the Latin American Bus Rapid Transit market, is a 28-metre bi-articulated bus with a passenger capacity of up to 270 people. 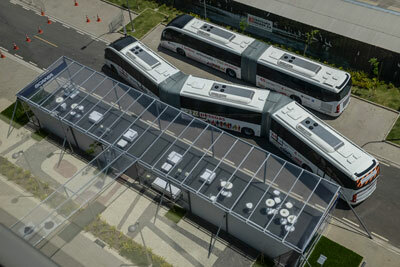 Scania believes the bus is the equivalent to removing up to 135 cars each carrying two passengers from the road. The ‘Mega Bus’ is powered by Scania’s 360 hp front engine with bodywork by Brazilian bus bodybuilders Caio or Neobus. 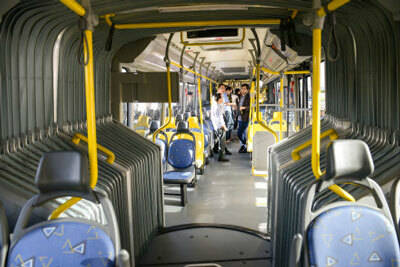 The bus comes equipped with five doors for an efficient and smooth passenger flow. Despite its higher price tag, Scania believes passenger-per-kilometre cost is 40 percent lower compared with a conventional articulated bus.